Welcome to a post that is filled with a goldmine of PBL (Project Based Learning Resources) and introduces you to BIE (BUCK Institute for Educations) new website. Give it a visit and you are bound to find something that will fit your classroom in the very near future. BIE Homepage – You may wish to visit and create a free account for information on PBL and best access to below links. There has been a recent resurgence of PBL (Project Based Learning Resources) across the nation and world as educators examine 21st century learning and realize that students must become masters of content in a way that shows real understanding, while demonstrating the ability to relate it to the real world. It is evident that students must acquire and be assessed on the important 4C’s. It is also essential that students be allowed to own and be the center of their learning. . Through the study of the eight elements essential to PBL one can see how PBL can be the process for such initiatives as CCSS , Next Generation Science Standards, 21st century learning, and any other state standards aimed at higher order learning. PBL in some form might date back to the very early 1900′s and John Dewey who initially promoted the idea of “learning by doing.” Some readers maybe familiar with BIE ( BUCK Institute for Education). BIE’s highest priority is to help teachers prepare students for successful lives. They do this by showing teachers how to use Project Based Learning in all grade levels and subject areas. As a mission-driven nonprofit organization, BIE creates, gathers, and shares high-quality PBL instructional practices and products and provides highly effective services to teachers, schools, and districts. I thought that as BIE celebrates 25 years of service it might be appropriate to take a look at their brand new website! Of course, I will show you some areas you do not want to miss filled with amazing resources in regards to PBL. At first glance it is obvious that BIE is dedicated to excellence in service to educators. Upon entering the site you have the opportunity to state your role in education. The website then attempts to provide content that might just fit your need… putting you in the center of learning! The content delivery is individualized based on whether you are a teacher, school administrator, or district leader. It continues to drill down further by asking questions that gauge your PBL experience, interest, and subject areas. Let’s take a look at content through the use of the upper navigation tabs. About BIE - Learn about BIE’s mission and view their special 25th anniversary video. It is a wonderful journey of BIE’s vision and PBL You can also learn about the staff, national faculty, board and ideas encircling PBL. Resources – One of my favorite areas. This could occupy any educator for the better part of an afternoon, or afternoons. 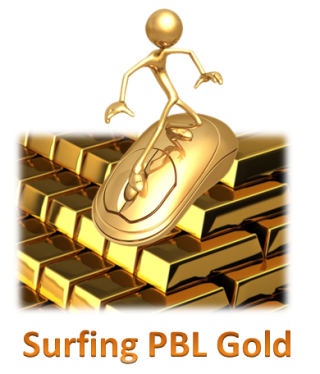 Let’s take a closer look at some amazing PBL treasures that BIE has included for everyone! Things to read - blogs, books, articles, and research about PBL, and also written documents that can be used such as rubrics, project planning forms, student handouts, and other materials for planning, assessing, and managing projects. Things to watch - videos curated by BIE to showcase particular projects and PBL schools or to explain PBL. You will find recorded webinars, Google Hangouts, and Twitter Chats on various PBL topics. Things to interact - While the above area has recorded items you may enjoy live interaction at the next Google Hangout or Twitter Chat. Perhaps you wish to join online classes, attend a conference, or find websites to visit. One area I enjoy is the Project Search tool with over 500 curated projects, and an online Project Planner. Note that you can check out these resources through link filters using the categories of teachers, coaches, principals, and district leaders. Service – This a a helpful area that helps educators understand what services are available from BIE. It is arranged by Teachers, Schools, and Districts. There is also a form that allows you to request services. Shop – You might want to take a look at some of the books that BIE has for purchase. They are practical and contain ideas and information that educators can use. I especially point out a new book, PBL for 21st Century Success. It is worth a look! Community – Professional Learning Communities are so important and it is always exciting to network with someone across the state, country, or world. Here you can explore and interact in eight different BIE communities! PBLU – Are you ready to learn about, or enhance your PBL knowledge? You will enjoy exploring this series of free one-week modules on key topics related to project management and assessment. You will find example projects that are anchored to Common Core State Standards. These modules are facilitated by BIE Staff or National Faculty and require 5-6 hours of work time per module. PBL World – This link uncovers an amazing event is scheduled for June 23-27, 2014 in lovely Napa, California. It will bring together 500 educators who understand that Project Based Learning is a key strategy for creating an effective and engaging 21st century classroom. Attended before? Get ready for some new and engaging workshops and events, a great reason to return! As you can see, whether you have visited the site before or are brand new, it will keep any educator interested in PBL engaged for hours… if not days! Throughout the year I will continue to bring you thoughts, ideas, and resources regarding PBL which will help you on your 21st century education adventure. It really is a practice that puts students at the center of their learning. As Dewey stated, ““Give the pupils something to do, not something to learn; and the doing is of such a nature as to demand thinking; learning naturally results.” Thank you BIE for a wonderful 25 years and an amazing new site!